Featuring a 76mm cast compressor wheel and a 75mm turbine wheel, this turbocharger is an excellent match for the widely-popular LS family of engines. Purpose built with the LS-enthusiast in mind, this unit features a 360* hydrodynamic bearing system for exceptional reliability and increased thrust capacity. The turbocharger is available with (2) different turbine housing A/R ratios (T4 .81 A/R and T4 .96 A/R), making it ideally suited for a single or twin turbo application. Both options feature a 3 5/8 v-band discharge for easy downpipe installation. 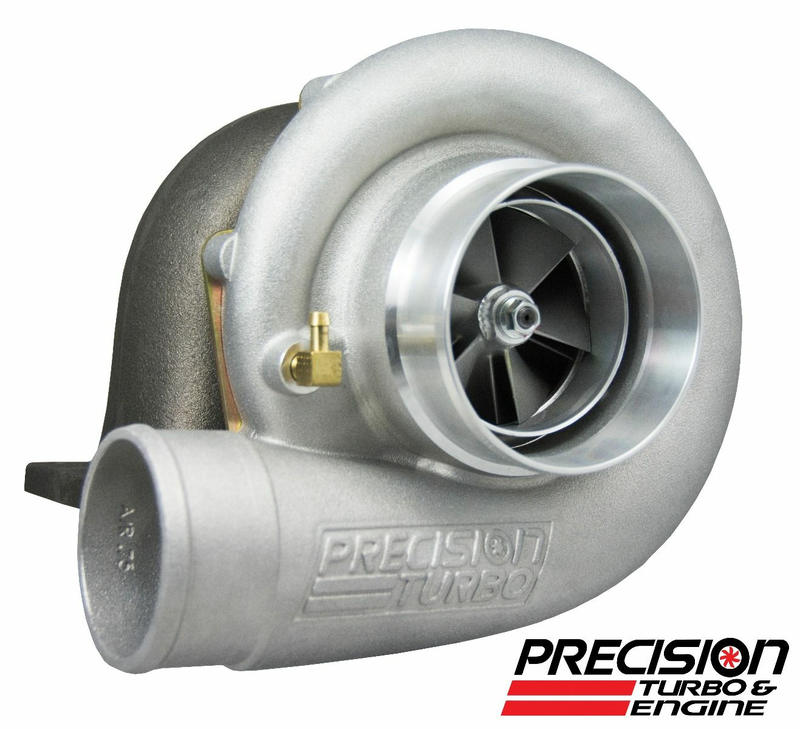 Additionally, the LS-Series PT7675 turbocharger comes standard with our ported H cover (4" inlet and 3" outlet) to protect against compressor surge. Rated to support 1,150HP.